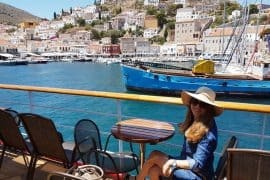 Rhodes is the largest of the Dodecanese groups of islands in Greek and it is one of the most attractive tourist destinations in Europe. There are magnificent ancient ruins, wooded valleys of pine and cypress trees and spectacular beaches and sandy coves. The crystal clear waters of the Mediterranean, the golden sandy beaches are perfect for anyone. 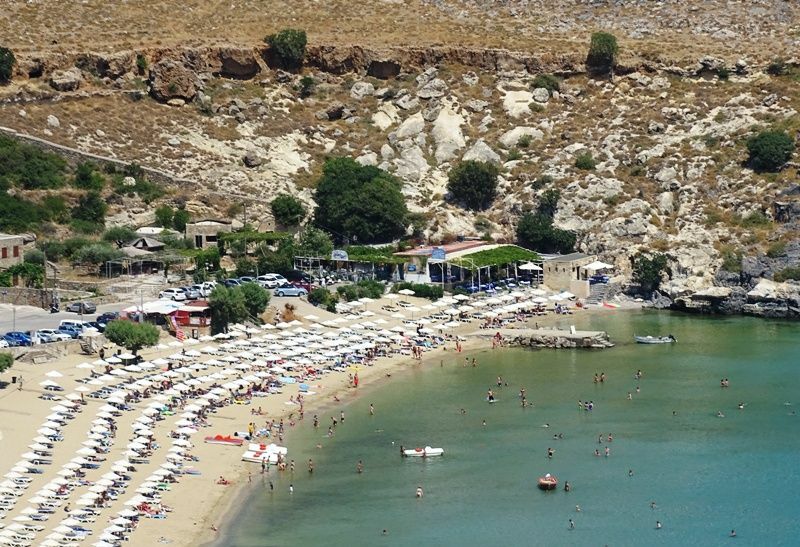 With that in mind, here is a guide to the best beaches on Rhodes. 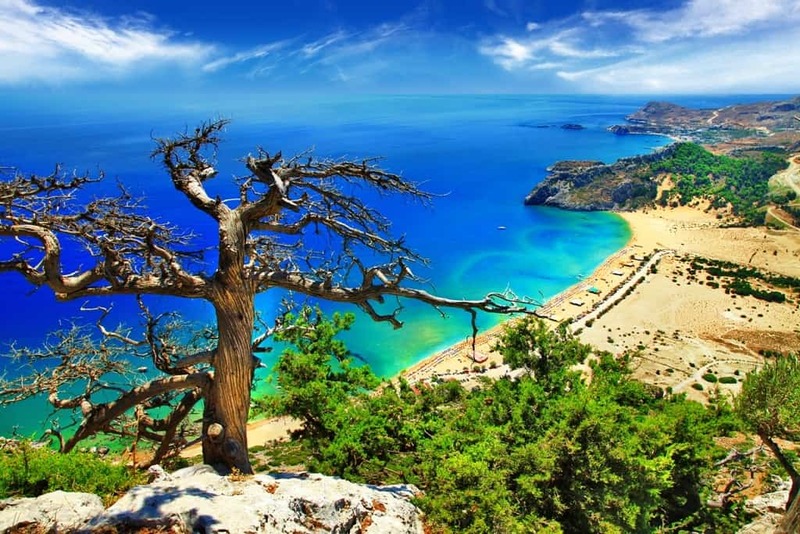 20 km from Rhodes Town is the beautiful Anthony Quinn beach, named after the actor who used to go swimming there. The organised small and narrow beach is both sandy and pebbly with sunbeds and umbrellas to laze away the day. The water is warm and clear and it’s a good spot for diving. 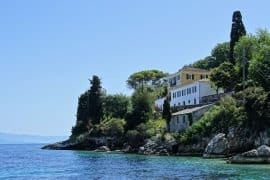 It can get crowded and it’s popular with nudists, and the surrounding pine-clad hills and green countryside make this one of the most calmest and stunning spots on the island. St Paul’s Bay is on the southeast coast of Rhodes in Lindos village and there are two beaches to choose from; the largest one has golden sand and the one at the northern end is sand and gravel. There is a bit of trek down to the beach, but, once there, the bay is truly picturesque with clear blue water perfect for swimming and snorkelling. It’s a good idea to arrive early to find your own little spot as it can get crowded, but it has a relaxed atmosphere. There are sunbeds and umbrellas available, as well as a cafe serving food and drinks. Three popular beaches, 48 km from Rhodes Town, so, unless you’re staying in Lindos, you’ll need transport to get there. One of the most beautiful golden sandy beaches on Rhodes, the water is crystal clear and shallow which makes it ideal for families. 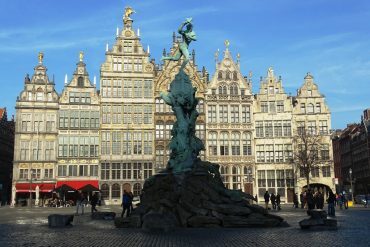 It’s organised with sunbeds, umbrellas, and plenty of cafes and restaurants. 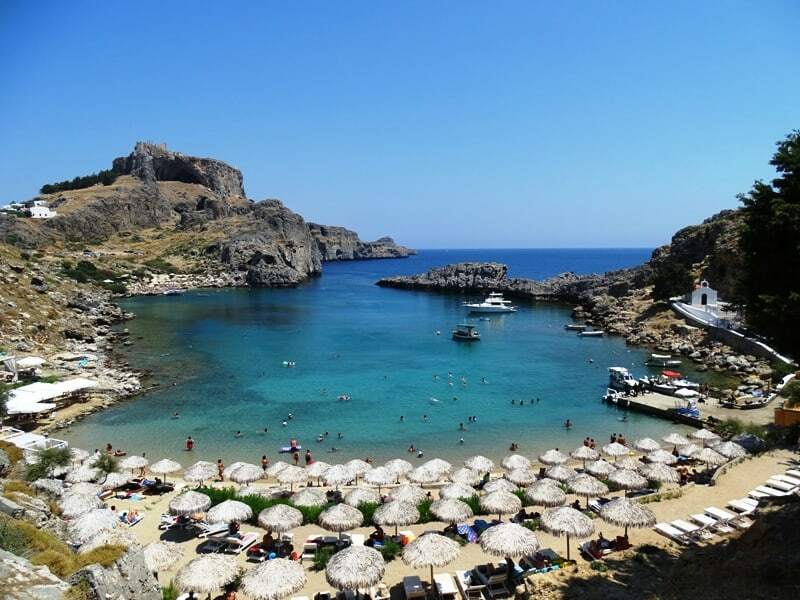 The scenery is gorgeous with green and rocky hills, the slopes dotted with white houses and eye-catching Lindos Castle at the top, it’s a good place to go exploring. Located on the island’s east coast is the long and sandy Tsambika beach. The partly organised beach has colourful umbrellas and sunbeds, watersports are available and there are plenty of beach bars and restaurants, so it’s a great place to spend the day or night. 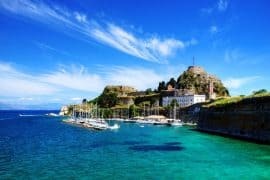 It’s a lovely sheltered bay with rocky hills surrounding it, and the water is turquoise blue and very clear, so it’s perfect for families to go swimming. Only 5 km from Rhodes Town, Ixia beach is easy to reach and it’s another beautiful spot to visit. It’s a cosmopolitan resort with many people from all over the world, and it’s a popular place for windsurfing and watersports. It’s mostly pebbled, but the sea is crystal clear and there is plenty to keep families occupied throughout the day. The village of Ixia is full of charming restaurants, tavernas and bars which serve delicious Greek food. It’s close proximity to Rhodes Town means Faliraki beach is one of the most crowded and popular beaches on the island. It’s well organised with colourful umbrellas and sunbeds, waterskiing, windsurfing and diving available. It’s family friendly, but it’s also the place to go if you are looking to party at any of the resorts bars and taverns, which sell some of the island’s most delicious food. 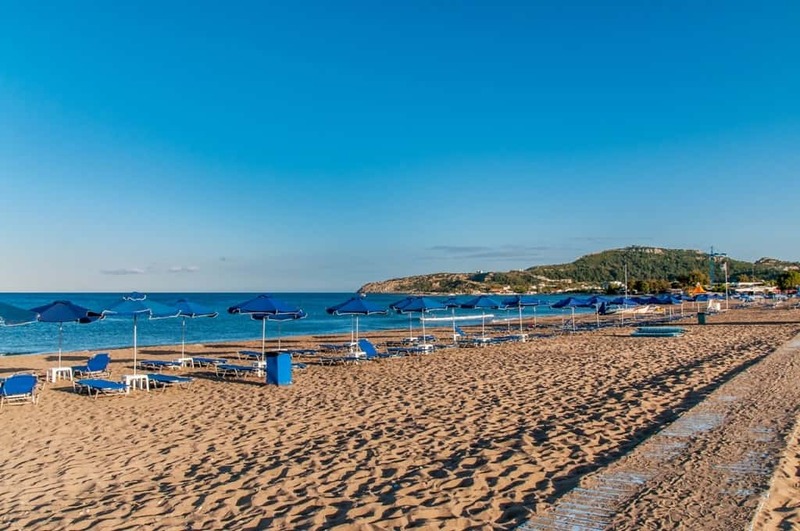 A short distance from the main beach is Faliraki Nudist beach, a small and organised stretch of sand with more sunbeds and umbrellas, a beach bar, selling good food, and an older crowd who bypass the liveliness in search of a more peaceful and chilled out day. Elli beach is in Rhodes Town, so it’s in walking distance from the town centre, but it’s closeness makes it very popular. It has every amenity imaginable; umbrellas and sunbeds, beach taverns and restaurants, and a range of watersports, diving, and beach volleyball. The beach itself is pebbly and the water is cobalt blue and perfect for swimming in the heat of the day. A fabulous place for everyone to enjoy. 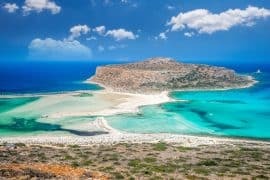 Prasonisi beach is the most unique of beaches because it is only exposed at low tide. At other times Prasonisi is actually a tiny island at the very southernmost tip of Rhodes. 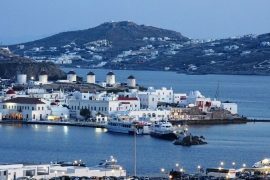 The beach has breathtaking views of both the Aegean Sea and the Mediterranean Sea and the rugged mountains surrounding the area. 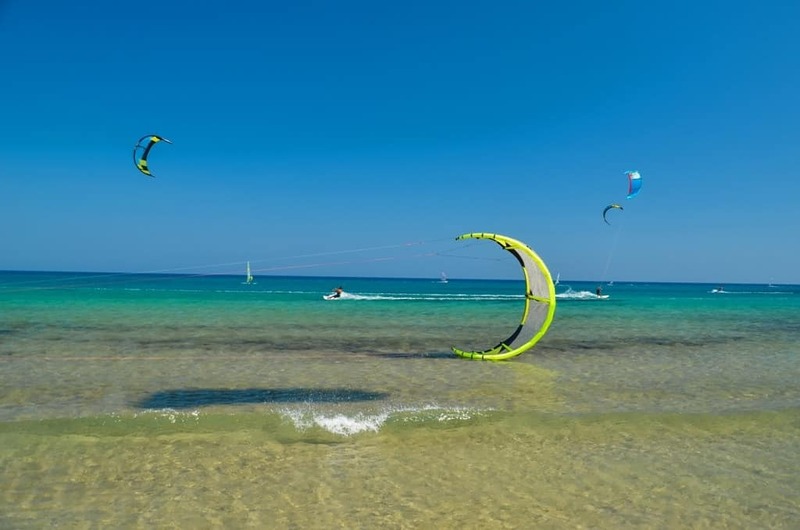 The west side of Prasonisi is very windy, so it’s popular with windsurfers and kitesurfers. The east side is sheltered and more organised with sunbeds and umbrellas, cafes and restaurants, so it’s excellent for families who come to relax or to enjoy the shallow water and the sandy beach. 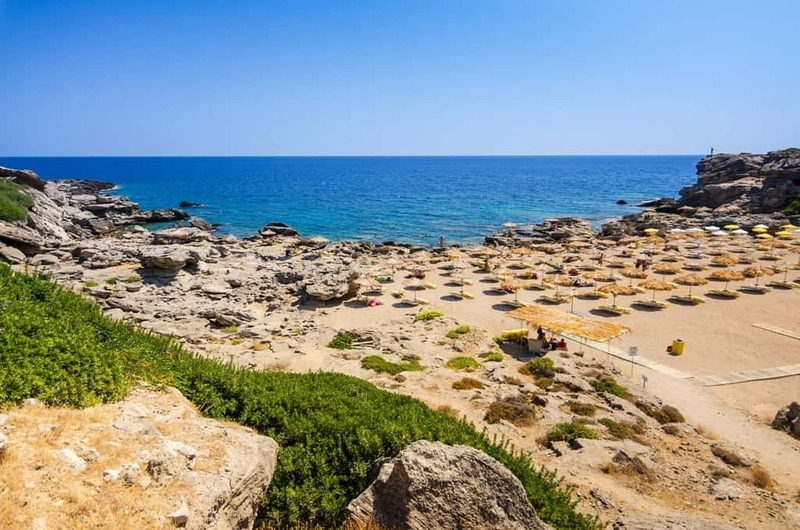 19 km from Rhodes Town, on the east coast is Afandou beach, a long and sandy beach in a beautiful setting with deep, sparkling clear water great for swimming. Parts of the beach are pebbly, but it’s family friendly and organised with watersports and windsurfing available. It can get crowded, but the beach is long enough to be able to find a more secluded spot. A short distance from the beach is the village of Afandou, a charming town with plenty of cafes, taverns and restaurants. 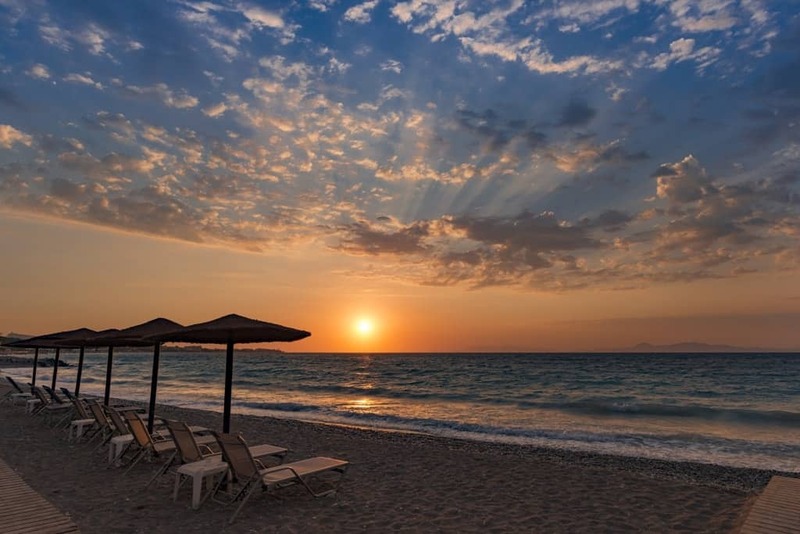 The idyllic scenery of Kallithea beach is a world away from nearby Rhodes Town. Emerald water lapping onto the pebbly beach and surrounded by pine and palm trees make Kallithea one of the most magnificent beaches on the island. It’s family friendly, organised, and there are watersports and diving available. It’s good for exploring too; there are ancient hot springs with stunning buildings and splendid mosaics. 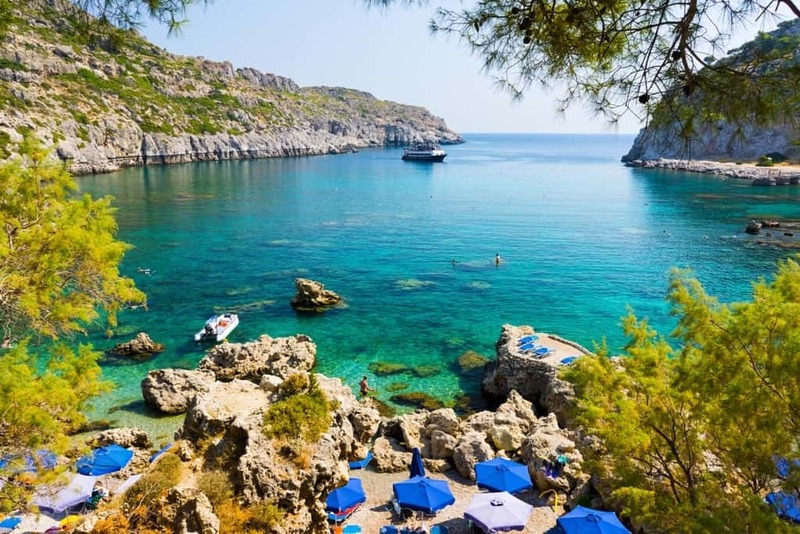 The beaches of Rhodes have something for everyone; windsurfing or diving, relaxing or exploring there are plenty of stunning places to choose from.